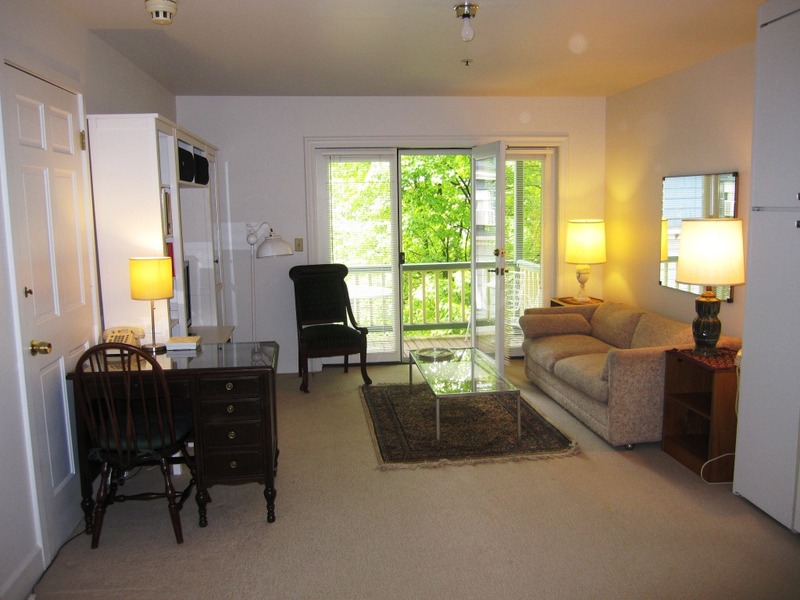 Chautauqua Institution Studio Rental - Great Area! 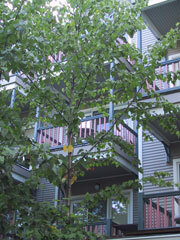 Location: #315 is a quiet unit on the third floor on Ames Avenue. Just cross the Plaza to the Post Office, Chautauqua Bookstore, and Refectory. A few more steps and you will enjoy all that the Amphitheater has to offer. Living/ Dining/Sleeping: fold-away table with 2 chairs, sleeper sofa, glass-top coffee table, occasional chair, end tables, desk and chair, closet. TV, VCR and Stereo, Hotel-quality queen size mattress and box spring, in a wall-bed ("Murphy bed") hydraulically balanced for easy one-handed operation. Bath: Tub-Shower combination, sink, toilet. Private Porch: Table, chairs and flower boxes. Decoration and Furnishings: Unit #315 is nicely and comforbly furnished in a pleasant mixture of contemporary and refurbished '40's deco with spotless new all-wool carpeting. Supplies: #315 is fully equipped with linens, towels, dishes, flatware, and cooking utensils. Guests don’t need to bring anything; just unpack and enjoy your Chautauqua vacation.